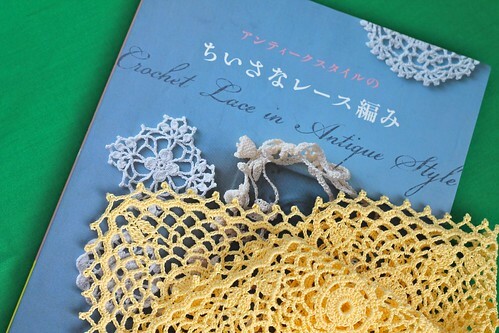 Use Easter as an excuse to make a Japanese doily. Check. 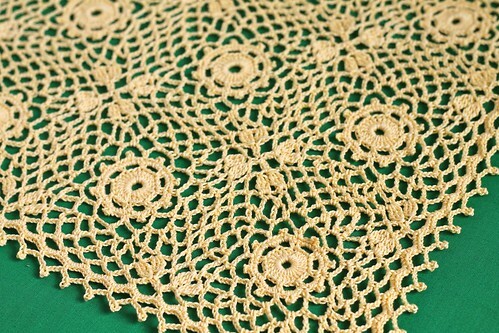 This doily is the "Mini Cloth" from Crochet Lace in Antique Style, one of the Japanese crochet books Alessandra gave me for my birthday! 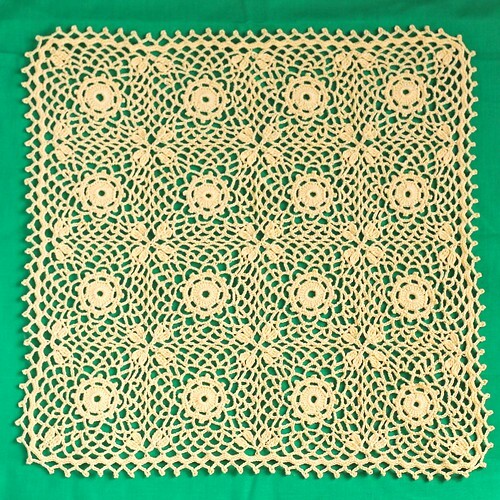 Using size 10 thread, a 1.65mm hook, I made this doily four motifs by four motifs rather than three by three as in the pattern. It's about 13.5 inches square. It was an easy pattern that was crocheted together as you went, which always saves time! When I was done crocheting I pinned it out, sprayed it with water and let it dry over night. I'm hoping it will add a nice bit of texture to the table! Ok, I'm off to finish Step 3! So nice!!!!!! I love it when gifts are so well appreciated!!!! Amazing, hopefully I can see it in person soon! This is beautiful, Kate and the pattern looks so intricate and dainty. 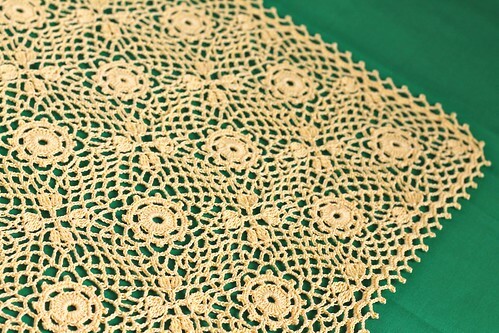 I love that fresh primrose yellow colour thread you have used. Well done for your lovely neat work! Oh my gosh Kate, this is SO lovely! But...how do you follow a pattern if it's in Japanese? I love how quickly you complete a project too! Take care. Sweet another great project. I love your work. thank you for sharing with us.